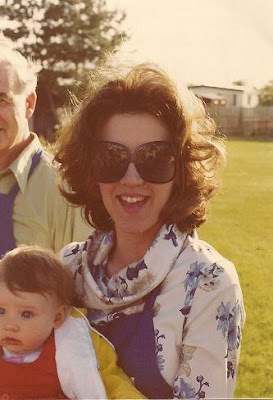 Happy 60th Birthday to My Mom! 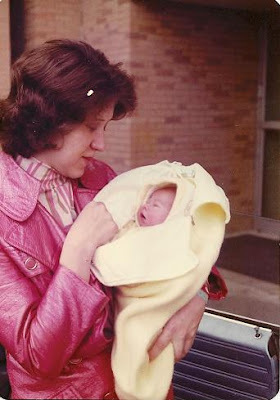 I love my Mother so very much...and she is celebrating her 60th birthday today! 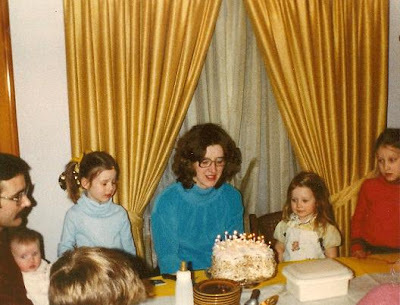 Here is a picture of my Mom celebrating her birthday in 1980 with our family. 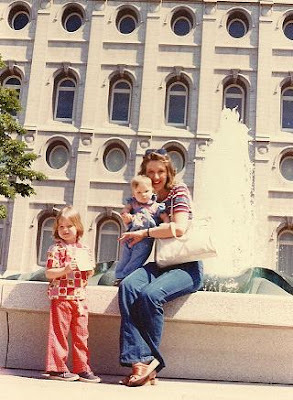 The following pictures are of my Mom and me (on vacation, coming home from the hospital, at the Salt Lake Temple). I'm the baby in these pics, but she's the CUTE one! You can wish her a happy day as well at her blog. I think you are both cute. I'll wish your mom another happy birthday. Thought it was last week. Today is my oldest son Frank-your cousin's birthday also. Your Mom is gorgeous! woohoo!! thanx baby J...don't you love my hair and shades! ?